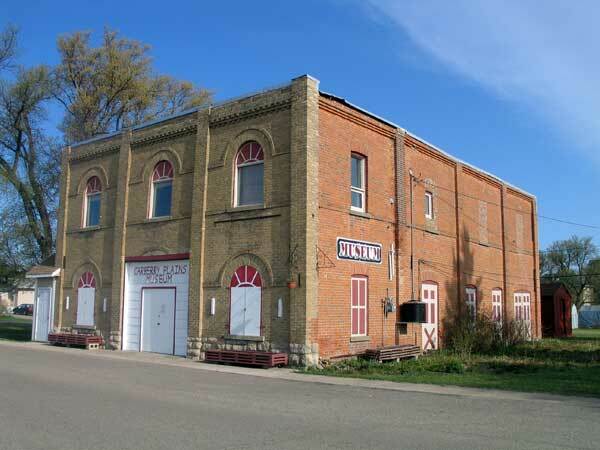 This museum in Carberry occupies a former sash and door factory owned and operated by James White. In 1939, White sold the building to J. H. Toby and W. B. McKay who operated a machine shop in it. It became a community museum in 1976 when local citizens, assisted by the Rural Municipality of North Cypress, took over the building. “Historic building saved, shop becomes museum” by Penny Ham, Brandon Sun, 1 March 1977, page 8.